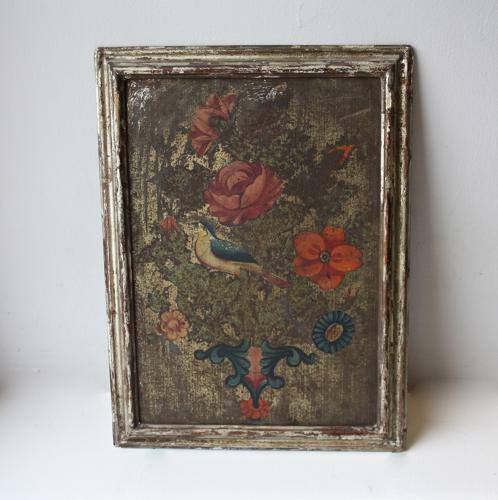 Stunning framed 19th century French painting of songbird and flowers on tin. Have never seen one like this before. There is some damage but still an attractive piece.